Mr. Angeley was wonderful. He was very in tuned with what the audience wanted and even sung happy birthday to my 80 year old mother in law. Going forward when we have any additional events we would hire him again. If you are looking for a fun entertainer who can play awesome guitar and sing while interacting with your crowd dont hesitate to book Jerry. He looks a little stiff in his photo but dont let this fool you. When he gets his guitar and background music going he is in his element and is super cool snd personable. Jerry played outdoors at our Bbq and we had over 200 people on several acres. His sound system could have covered ten times our area. But Jerry played at a perfect volume as we enjoyed singing and dancing to his music. Our audiencd ranged in age from 6 to 96 and they all enjoyed his music from santana to frank sinatra. Great musician with a great playlist! Jerry played a work event for us and was the perfect musician for the event! He played all great songs and I had such positive feedback from our guests that thoroughly enjoyed him and his music throughout the entire evening! We will definitely be hiring him again for our next event! Thanks Alyssa. It was an honor to perform for you and your guests. Very happy with Jerry. On time. Very professional. Thank you Charles. You have a great family and friends. It was s honor go perform for you and them. Congratulations again to Frank and Nancy. Jerry is a wonderful Entertainer. We had him play 60s 70s and 80s music. It was awesome everyone had a great time. He set up in plenty of time,was very professional and I would definitely hire him for future events. Thank you Sharon. Your guests made it easy. You, Ron, Linda and all the guests were a great audience. We got just what we ask for. A musician to play for my dad's 70th bday and he was wonderful. Very interactive with the crowd and went above and beyond to make sure they had a good time. It was a small gathering in my family's backyard of about 30 people and he wow' d us all. Great singer, could play anything we ask, and interacted with the guest. He was on time, professional and played right through the hot summer heat! Thank you for a great night! Jerry was great! The music was perfect for my event. Jerry knew exactly what to play and the level to play at for the mingling crowd. I will definitely use him again for other events. Ellen was just great to perform for and the Ellen Lighting and Hardware showroom is absolutely beautiful. I saw lighting solutions I have never seen anywhere else at any price. We hired Jerry for a corporate festival event. Fun personality, entertaining, and easy to work with! His song selection was the perfect variety for our audience! Thanks Jerry! My thanks to Jen and her BFF who were great!!! They were the perfect clients. I would work for them again anytime. Also, if you haven't been to the Three Palms Athletic Park you are missing out on a lot of fun. They have wake boarding, motocross, and tons of outdoor activities, all in Conroe. I am so glad we were fortunate enough to book Jerry for our party! He is such an amazing singer/guitarists! He created such a fun atmosphere for all of our guests! Jerry was really accomodating and can sing such a wide range of music. He even learned a song specifically for one of our guests before the party and it was fantastic. I really enjoyed working with him and hope to get a chance to hire him again soon! Fantastic - Awesome - Great - Wonderful!!! We have a yearly family & friends event and this is the first year I decided to hire a musician. I searched GigSalad and found Jerry. What a fantastic choice I made. He is truly incredible. All my guests enjoyed his music and him! He is personable, professional, talented and friendly. I made one mistake though - I hired him for two hours and next year I will hire him for longer!! I will rate him 5 stars but wish I could rate him for 10 ! He made our evening very special! Jerry Angeley was the perfect performer for my 40th birthday party. Every single part of our experience working with Jerry was a pleasure. He is so professional--but more importantly, he is so nice. Jerry arrived early and set-up all his equipment, even answering the questions of our four curious kids. Jerry is such a talented musician. He played all our requests. 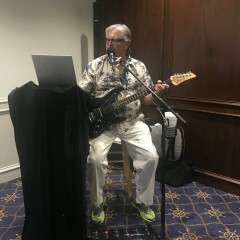 Jerry had a great feeling for the party vibe and played soft music when the guests wanted to chat and louder, fun music when they were looking to sing along. Hire Jerry for your next function. He is a full-time professional who will make sure your event is an absolute success. Thanks, Jerry, for helping me celebrate my birthday! You are incredibly talented. 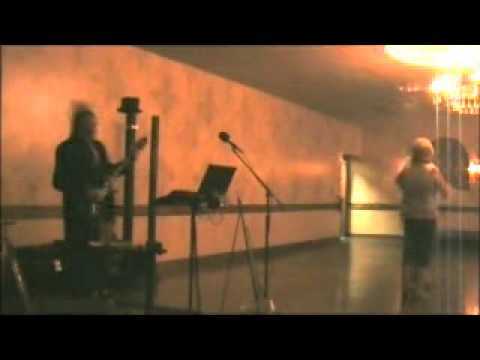 Jerry performed for us at La Torretta Lake Resort & Spa for a Corporate Function on September 9, 2013. 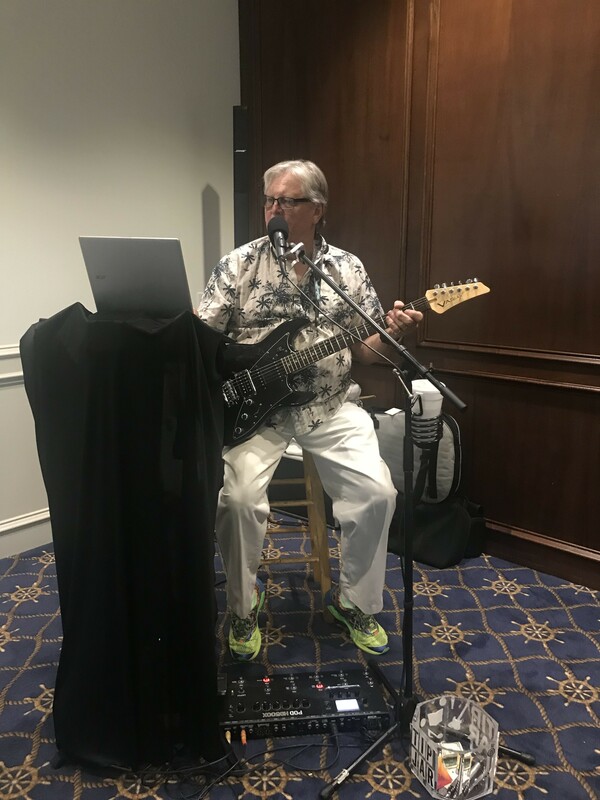 Jerry was professional, punctual, and mostly importantly, provided great background music that made our networking function quite enjoyable for all of our attendees. 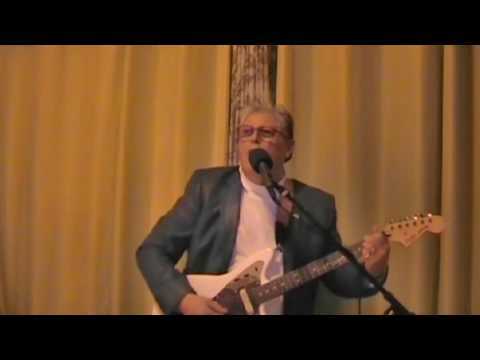 I would recommend him to anyone looking for an experienced guitarist to make their event a success! "We truly enjoyed your gig. The song selection was fantastic, because the tunes compliment your style and voice. I loved the dynamics in you sound. and.......Your guitar playing was smooth and creative. Five Stars!" 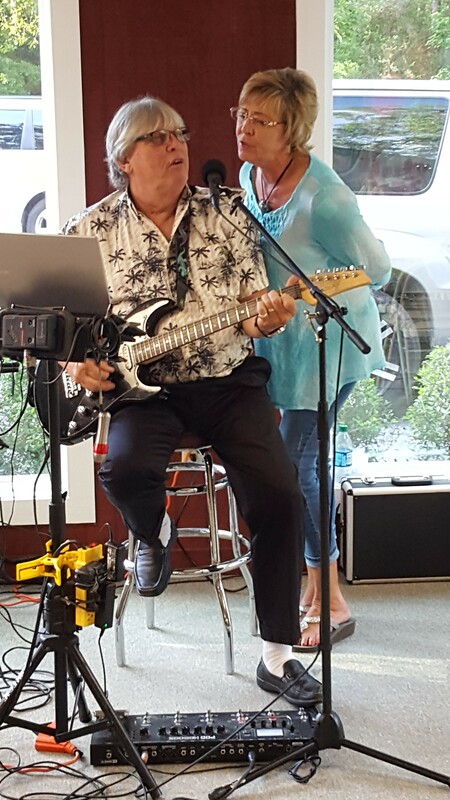 "Jerry provided music for the second year in a row at the Annual Oak Tree Festival community event held in our town. We were extremely pleased with the entire experience and have hired him again this year." "I was nervous about booking an entertainer online but with Jerry the process was very easy and efficient. I e-mailed Jerry and he replied the same day. He arrived early to our event, was very professional, easy to work with, and his performance was just what we wanted it to be and his rates are perfect. I would recommend Jerry for any event." "Jerry played and sang beautifully. His sound system is unbelievable. His approach was relaxed and professional. He fit in perfectly with the party." 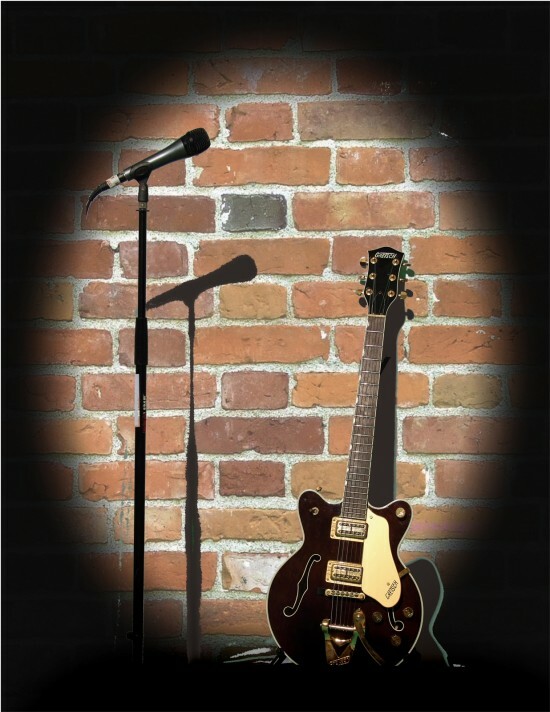 I was reluctant to hire a performer online. However, Jerry was fantastic! He was even better live than his online demo sample songs. He was sensitive to the audience and venue in terms of his volume and quality of sound so while we could all hear him throughout the evening he was never too loud. 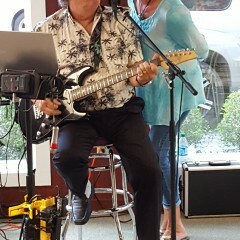 Jerry's music was a great match for our event and he was affordable. We'll be having him back soon. My thanks Jerry!" "I thought the music was a recording!" and memorable evening for ourselves and our guests. Thank you Jerry!" Jerry was received the 2014 Best Business of League City Award for Performing Arts and noted in the press release below. League City area a great place to live, work and play. Businesses of League City Award Program and data provided by third parties. achievements and accomplishments of local businesses throughout the League City area. groups. Our mission is to recognize the small business community's contributions to the U.S.
Jerry started performing in high school in 1965. 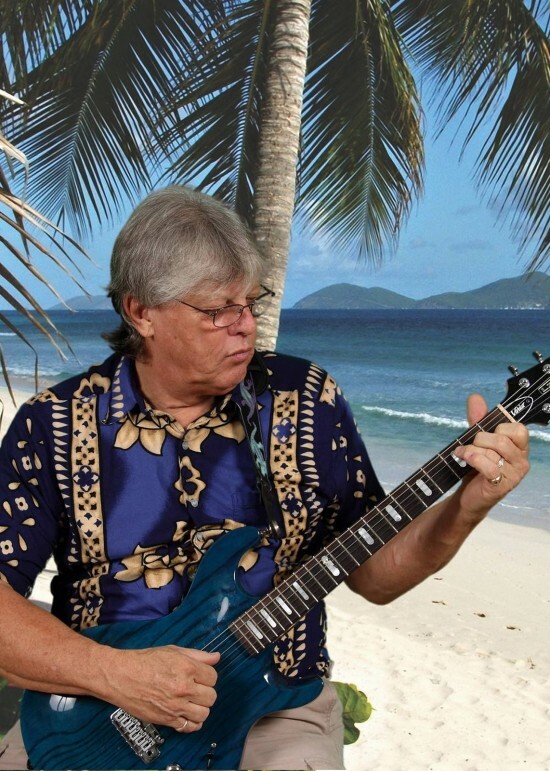 He has performed all over the world since then and has been performing in the greater Houston area since 1980. He has played and sung with various bands including Sable, Equation, The Sounds of Time, Blame The Dog, and most recently Spiny Norman, a funk and soul band he helped found. Jerry has played virtually every style and genre of music and has incorporated them into his act so he can satisfy almost any musical need. Jerry uses only professionally produced back tracks as his background instrumentation to which he adds all of the lead guitar solos and lead vocals. The result is a professional, high quality show that can be performed in virtually any location, for any size audience and at any volume. Jerry can also perform some DJ material if desired and can even include the guests in his act as singers. Jerry has performed at events for major NASA aeropace contractors and petroleum companies, private parties, and many venues across Houston. Currently Jerry only performs at corporate and private events. Jerry uses only the Bose L1 amplification system so the sound is the very best it can be and since he is a one man show, he can tailor the sound level to any client's tastes from thumping dance music to soft background tunes that allow the guests to talk at normal levels during the show. Jerry is a true professional and you can always depend on him to be prompt, courteous, and attentive to his audience. I provide my own sound system. If a client wants lights I can provide those as well. December 31, 2015 • 7:00pm - 8:00pm Galveston, Tx. All of the Motown and Soul/R&B artistsd and groups. Various rock and roll artists but especiall Chuck Berry, The Beatles, The Rolling Stones, and Frank Sinatra.